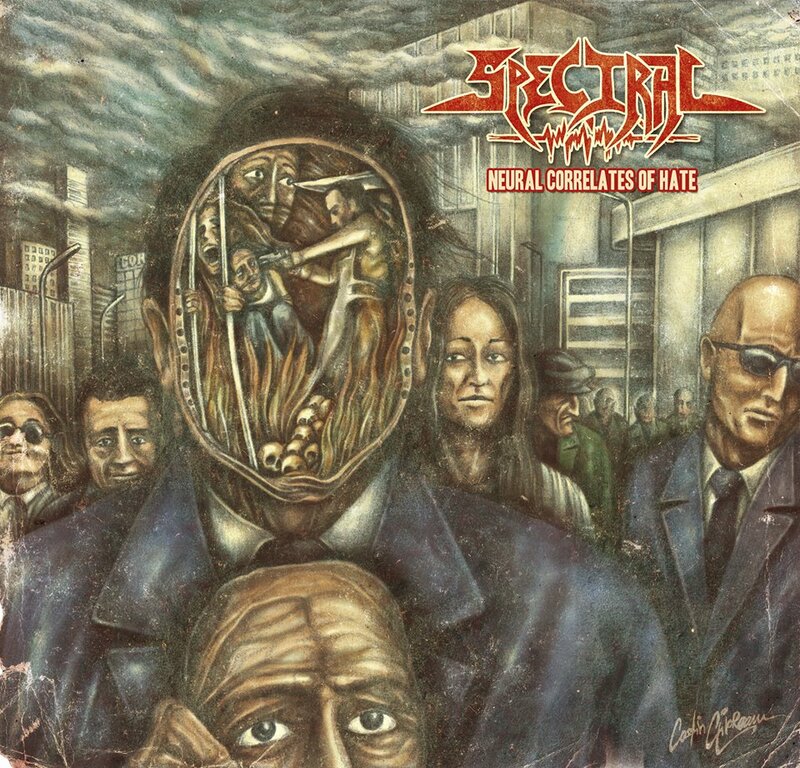 Spectral’s Neural Correlates of Hate out now! 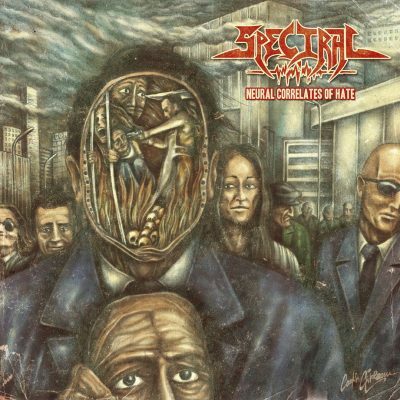 Fans of the genre will definitely enjoy Neural Correlates of Hate even if only by considering the intense, precise and deeply complex drumming from Romain Goulon, known from his work with bands like Necrophagist, Disavowed, Benighted or Aggressor, or the stellar guest appearances of Christian Muenzner (Necrophagist, Obscura, Alkaloid) and Calin Paraschiv (Pestilence, Necrovile), and all this on top of the years and years of compositions’ crafting and perfecting by the band’s founding member, Ciprian Martin, and the venom-spitting vocal performance of Andrei Calmuc, also known from CodeRed, or his previous work in Indian Fall. The album was mixed and mastered by Clawfinger founding member, now producer, Jocke Skog at his Sunmountain Facilities! The album’s impressive cover artwork is signed by Romanian well-known artist Costin Chioreanu (Twilight13media studio).